Senior surviving Officer. 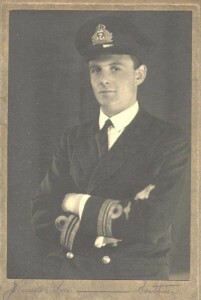 Author of official report of sinking. The discovery, in 2015, of his manuscript notes on how many men made it to the rafts prompted new research into the rescue of the survivors and the fate of some of the men who were lost.